Group policies are settings pushed into a computer’s registry to configure security settings and other operational behaviors. 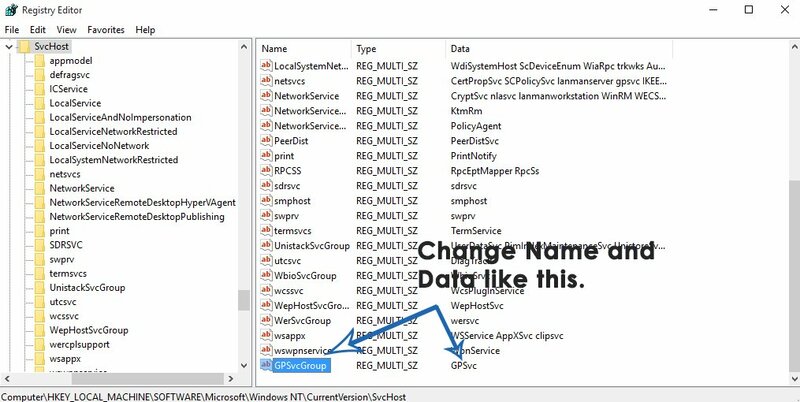 Group policies can be pushed down from Active Directory (actually, they’re pulled down by the client) or by configuring local group policy. This error arises when a computer crashes after the rebooting process during Windows Updates. The computer restarts after the crash and reports an unexpected shutdown during Windows Updates. Right after this, it starts displaying this error message. In most cases, this error message is given birth to by the loss of important Registry settings required to initialize the Group Policy Client service. 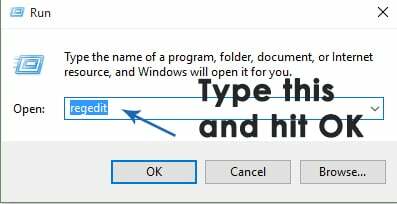 Press the Windows Logo key + R to open a Run dialog, type regedit into the Run dialog and click on OK. Doing so will launch the Registry Editor. 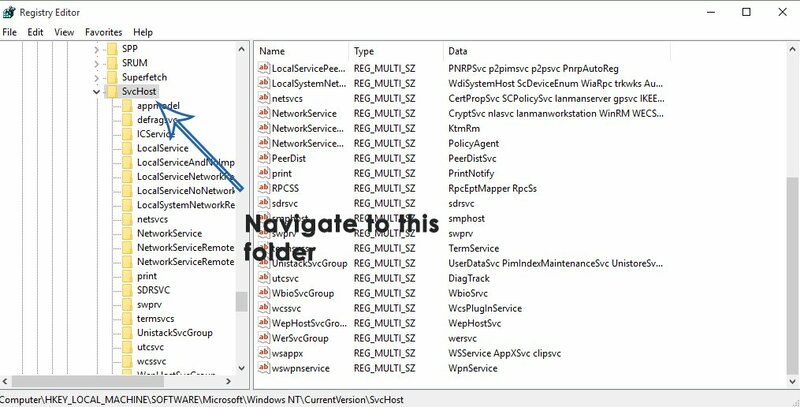 If gpsvc is present, then navigate to the directory described below in the left pane of the Registry Editor. This is an extremely important and fragile directory so make sure that you don’t touch anything else. 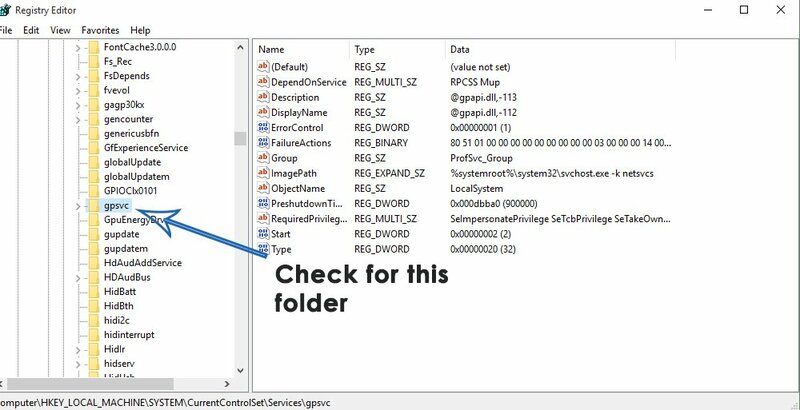 Inside the SvcHost folder, there must be some keys and values which are required for the process to be completed. Check for a multi-string value GPSvsGroup inside SvcHost. If it is not present, you are going to have to create it yourself. 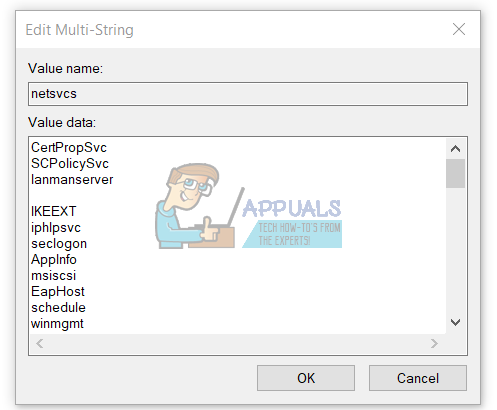 In order to create the multi-string value, right-click on the SvcHost folder, hover over New and click on Multi-String Value. 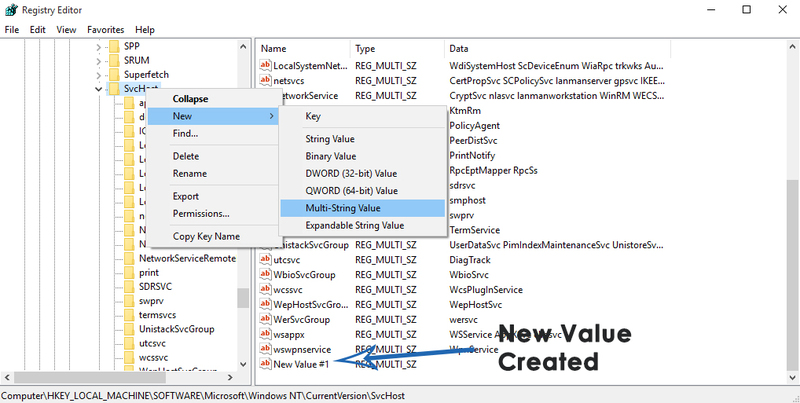 Doing so will create a new registry value in the right pane. 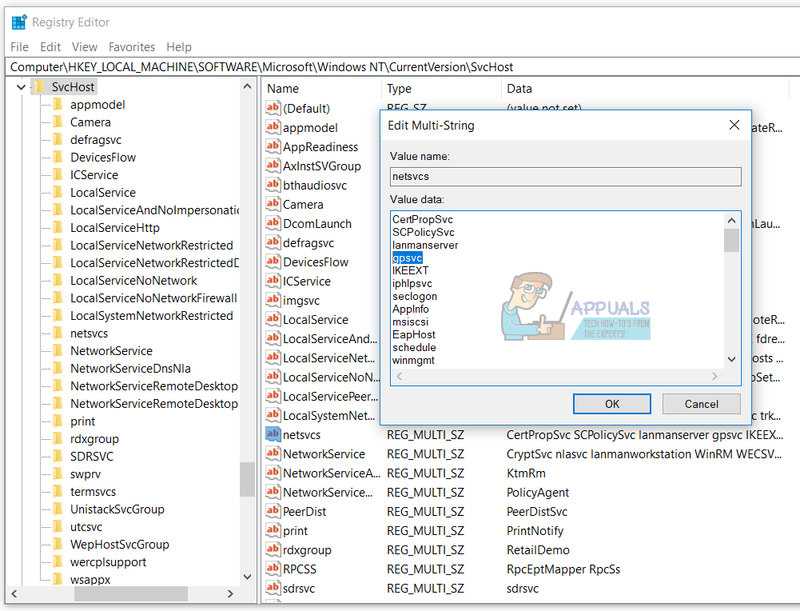 Rename the new multi-string value GPSvcGroup by right-clicking it, clicking on Rename, typing in GPSvcGroup and pressing Enter. Now, double click on the GPSvcGroup value to modify it, replace whatever is in the Value data field with GPSvc and click on OK. The next thing you might need to do is to create a new folder (key) inside SvcHost. To do so, right-click on SvcHost in the left pane, hover over New and click on Key. Rename the new registry key GPSvcGroup. 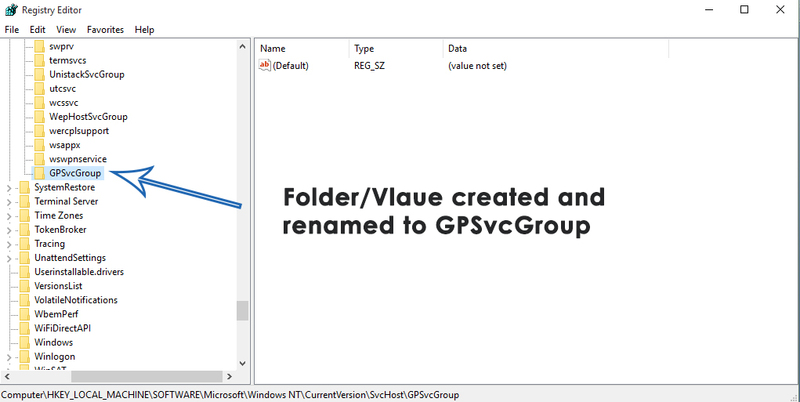 Click on the GPSvcGroup key in the left pane to have its contents displayed in the right pane. 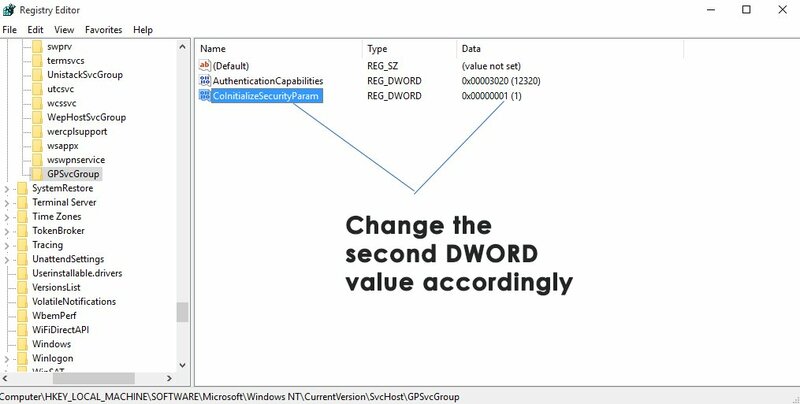 You now need to create 2 new DWORD (32-bit) values in the right pane of GPSvcGroup To do so, right-click on an empty space in the right pane, hover over New and click on DWORD (32-bit) Value. 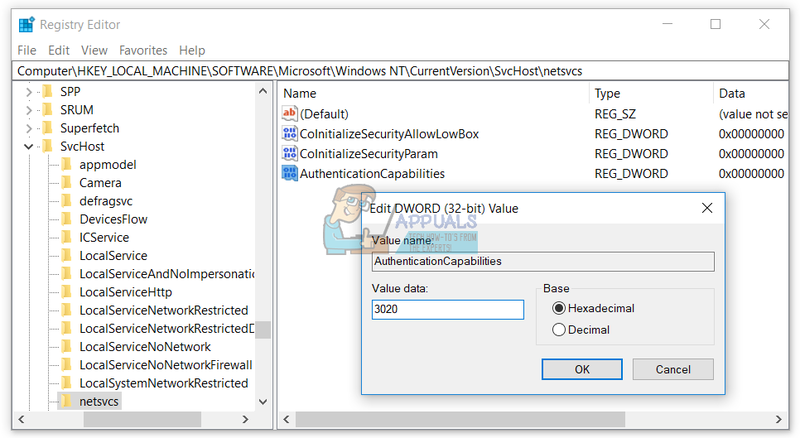 This process needs to be repeated 2 times to create a total of 2 new DWORD (32-bit) values. 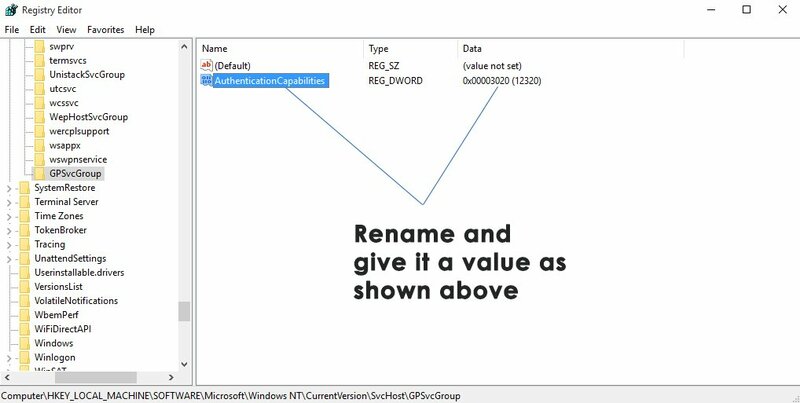 The first value needs to be renamed AuthenticationCapabilities and should have 12320 as its Value data and Decimal as its base. 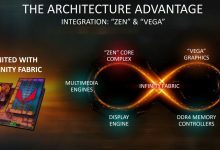 The second value needs to be renamed CoInitializeSecurityParam and should have 1 as its Value data and Decimal as its base. Restart the computer and check to see whether or not the problem still persists once it boots up. Press the Windows Logo key + R to open a Run dialog. 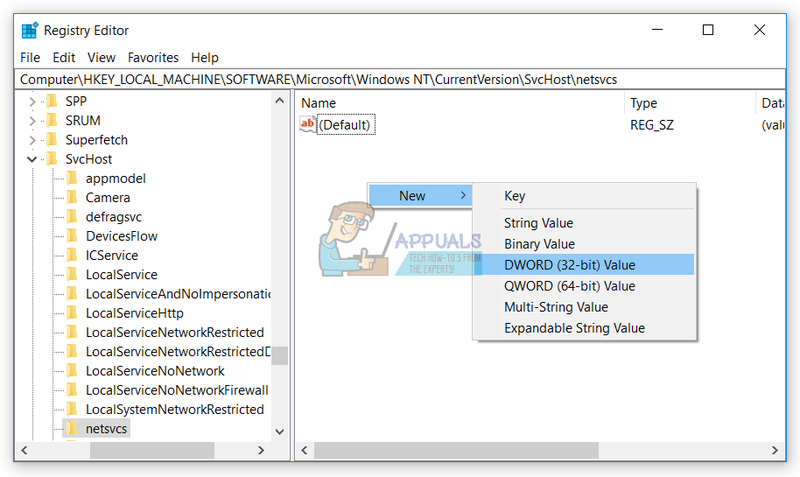 Type msconfig into the Run dialog and click on OK.
Navigate to the Services tab, enable the Hide all Microsoft services by checking the box beside it and click on Disable all. Next, switch to the Startup tab and disable all start-up services. 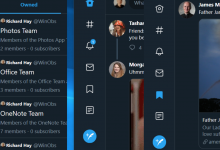 If you are using Windows 8/8.1 or 10, you are going to have to click on Open Task Manager when you get to the Startup tab and, one by one, right-click on the name of each of the applications listed and click on Disable in the context menu in order to do so. 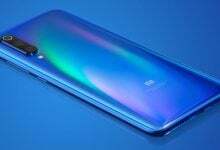 You can re-enable the applications later using the same procedure, but you should only re-enable apps that are really needed. Restart the PC and check to see if the problem persists once it boots up. Right-click on the search result titled cmd and click on Run as administrator. Doing so will launch an elevated Command Prompt. Once the command has been fully executed, close the elevated Command Prompt. Restart the computer. Check to see whether or not resetting the computer’s Winsock catalog did the trick once it boots up. 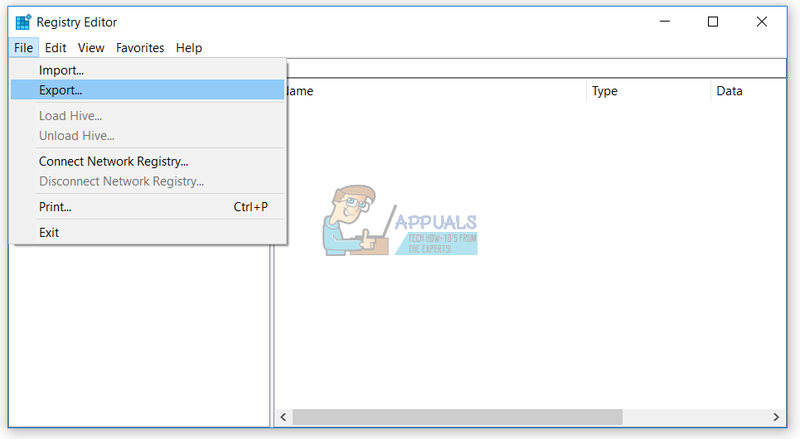 Type regedit into the Run dialog and press Enter to launch the Registry Editor. 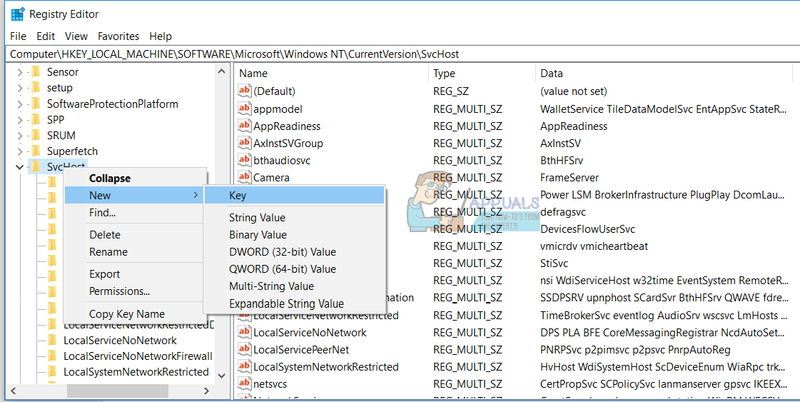 In the left pane of the Registry Editor, right-click on the gpsvc sub-key under the services key and click on Permissions… in the context menu. Under the Change owner to: section, click on Administrators to select it, enable the Replace owner on subcontainers and objects option by checking the box beside it, click on Apply and then click on OK.
Click on Administrators to select it and click on Edit…. Check the Allow box directly in front of Full Control and click on OK. 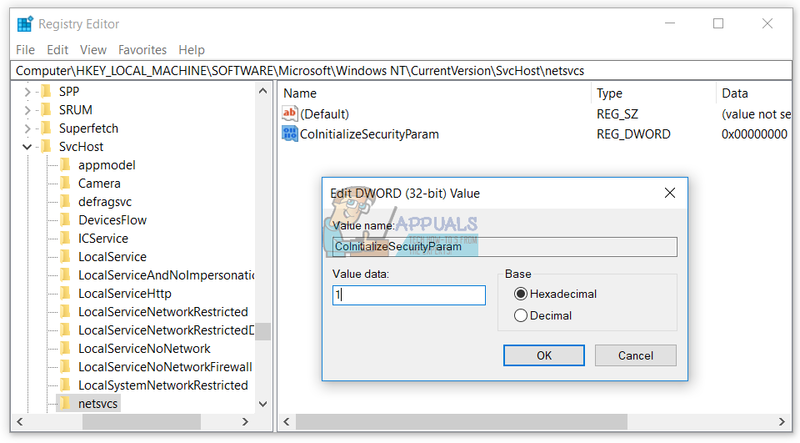 Enable the Replace all child object permissions with inheritable permissions from this object option by checking the box beside it. Now, back in the Registry Editor, click on File > Import…. 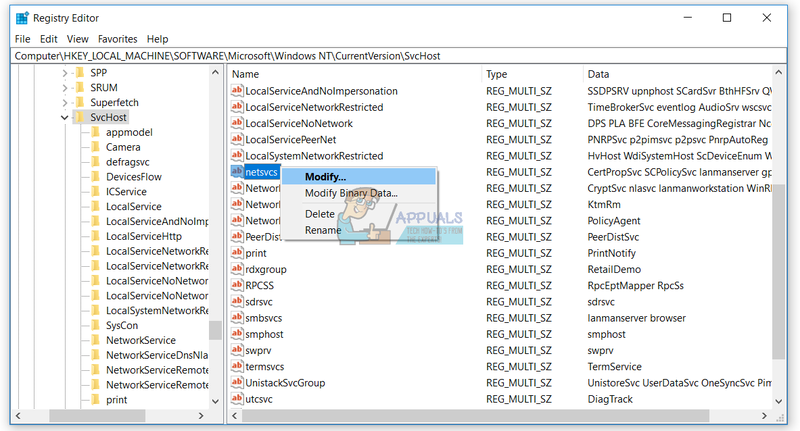 In the Import Registry File dialog, navigate to where the registry file you downloaded in step 14 is located, click on the registry file to select it and click on Open. You may be asked to confirm the import of the registry file or the merging of it with the affected computer’s registry, so be sure to confirm the action. Once the downloaded registry file has been successfully imported and merged with the computer’s registry, restart the computer and then check to see whether or not the issue has been fixed when it boots up. Click on Choose what the power buttons do in the right pane of the window. Uncheck the checkbox beside Turn on Fast Startup (recommended), thus disabling it. 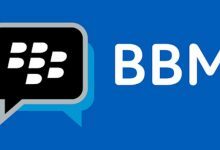 The second method that can be used to disable Fast Startup is to simply disable the Hibernate feature, deleting the hiberfile and disabling Fast Startup as a result. You should use this method if Method 1 doesn’t work or if you simply want to disable Fast Startup and gain a bit of disk space (the hiberfile takes up as much disk space as the amount of RAM your computer has) at the same time, although it should be noted that using this method will also result in the loss of the Hibernate feature. 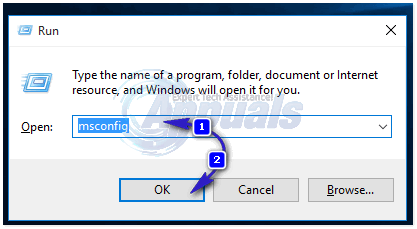 Click on Command Prompt (Admin) to launch an elevated Command Prompt. 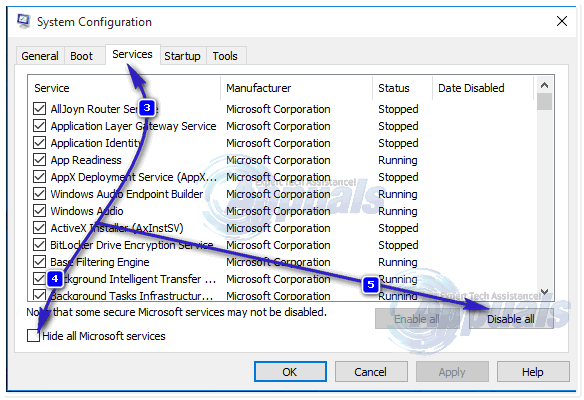 Once you have used your preferred method to disable Fast Startup, you should no longer be seeing the “Failed to connect to a Windows service” error message on your Windows 10 computer. Before you do any registry configuration, we are recommending you to backup registry database. 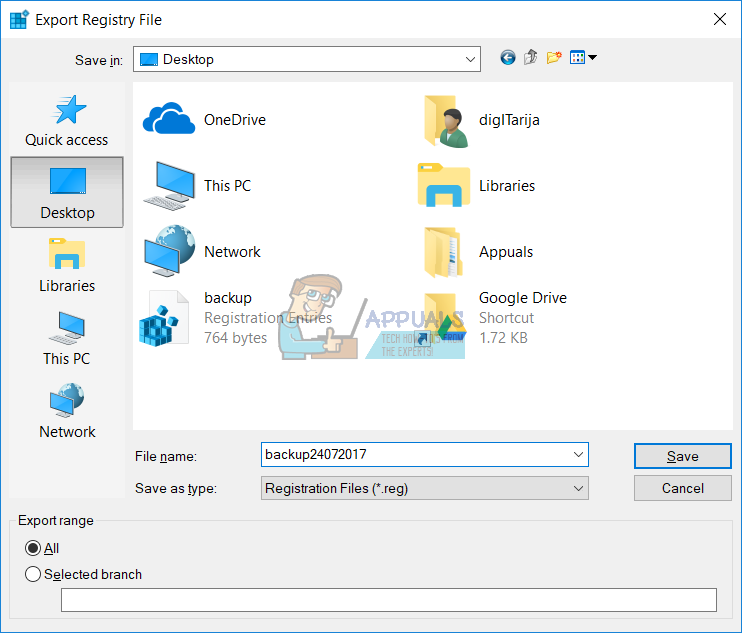 Why you need to do registry backup? In case of some misconfiguration, you can revert registry database to previous state when everything worked without new problems. Click File and then .. In next window you will see that gpvsc is missing. You will need to click at the end of one value data and press Enter, to write gpvsc, as shown in next image. 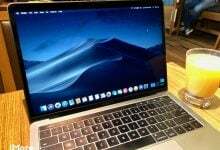 Right click on white window background, and choose New, and then click DWORD (32-bit) Value, regardless you are using 32-bit operating system or 64-bit operating system. 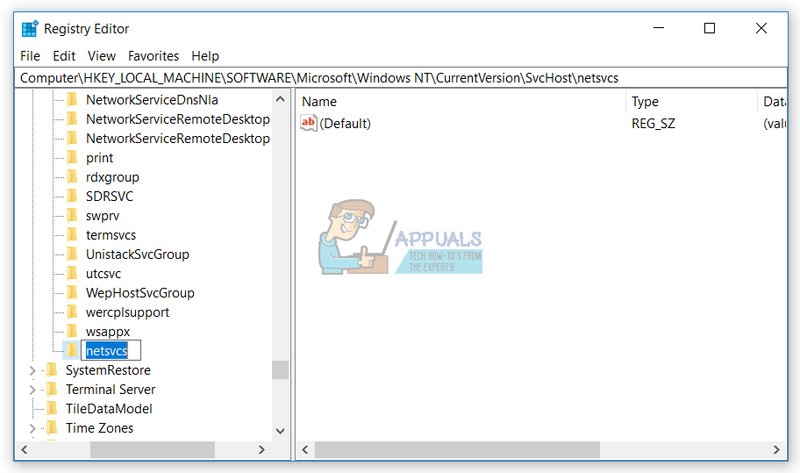 Navigate to service names Group Policy Client and check is it running. If it is running, you successfully solved your problem.